When you call the office, you can always know you’re in good hands if you end up speaking with Ruth. She’s usually busy helping new patients schedule appointments, answering the phones, and redirecting calls to the right person. Ruth says she’s always wanted to work in an office setting and that she enjoys the administrative part of her work. You’d most likely find her working in a call center if she wasn’t involved in dentistry. 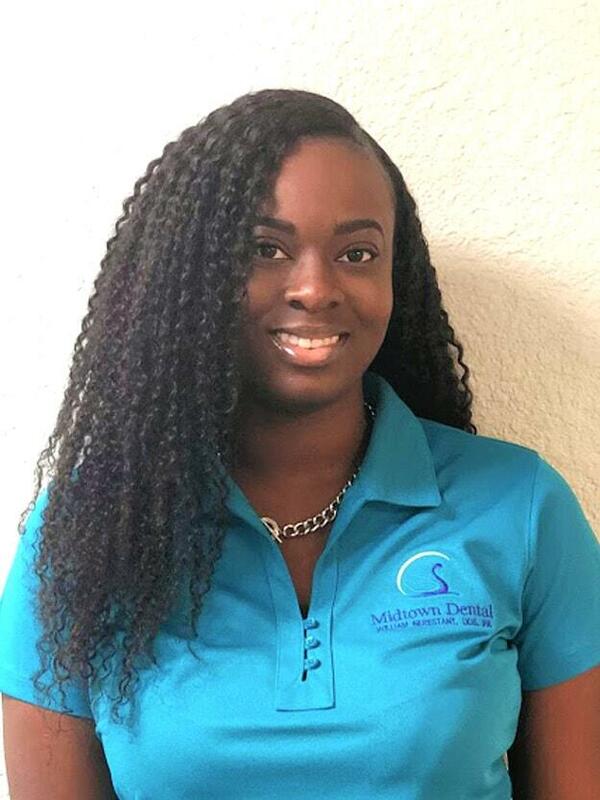 Ruth thinks Midtown Dental is unique and different from other dental offices because of the diversity of the entire team and their many wonderful personalities. She’s funny, lovable, reliable, positive, and optimistic. Outside of the office, Ruth enjoys catching up on her sleep, eating good food, and Kompa dancing.